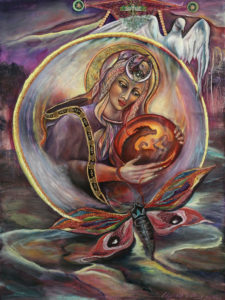 The process of creating this piece has been a sacred holy pilgrimage, a journey of remembrance and of connection to the spirit of Mary Magdalene and the multi-layered mysteries that envelop her life. This piece has undergone more “transformations” than any other work of art that I have created. This piece began, as all my art does, with a meditation and a prayer. 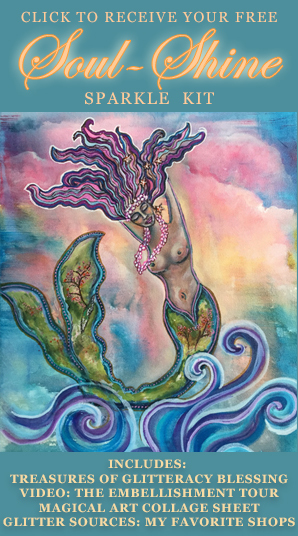 I asked to receive the messages of healing from the Divine Feminine that the world needed at this time and I asked to honor her beauty, grace, compassion, wisdom, love and mystery. As I began my painting I at first thought that this piece was entitled the Virgin and the Dragon. Both the Virgin and the Dragon appeared as aspects of the Divine Feminine, the Virgin representing the holy, sacred, compassionate aspect and the dragon representing the wild, instinctual, powerful aspect. For thousands of years the traditional depiction in art linking the Virgin and the Dragon has shown the Virgin trapped by the Dragon and the Dragon then being slayed in order to free the Virgin. Symbolically this represents a killing off or splitting off of an aspect of ourselves. What began as an archetypal “Virgin Mary” began her transformation as I listened and dialogued with her image and she showed up holding a red egg with a baby dragon inside of it. 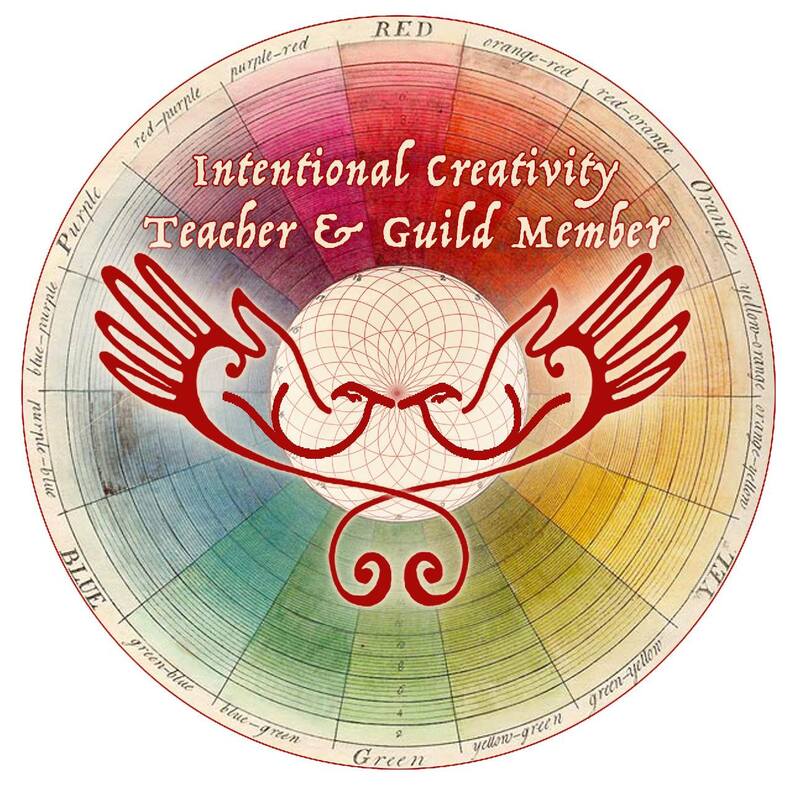 My contemporary interpretation shows the red egg with the baby dragon inside, glowing with the full passion and embodiment of the soul–fire that can be born when we honor and embody all aspects of ourselves. There are other symbols that also emerged including the dragonfly, a symbol of resurrection, and renewal after hardship. The dragonfly is in the center of a star shaped symbol that I have covered with shattered safety glass representing the shattering of women’s hearts and our sense of safety in the world. I have used glitter in between the separated pieces of glass representing the divine spark (le), the mystical filament of light that is the essence of our souls and that ultimately heals and joins the broken pieces back together again. 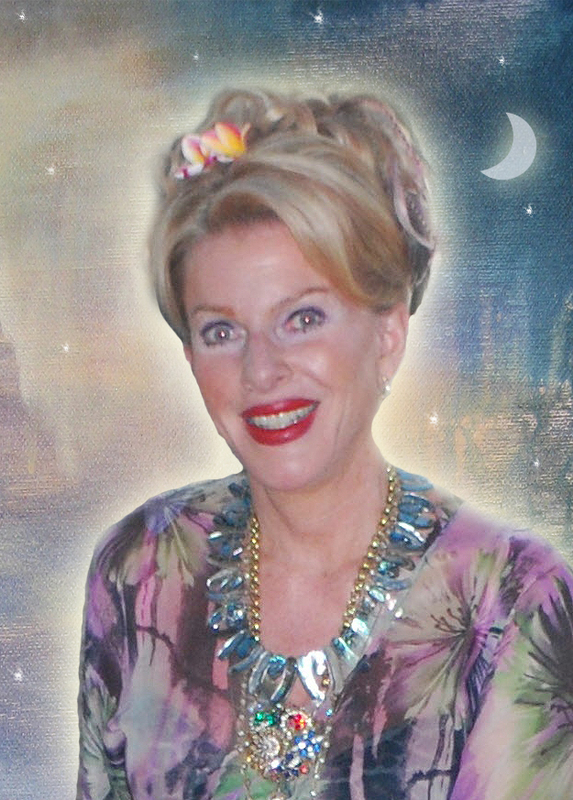 My Magdalene is depicted inside of a “crystal ball” suggesting the theme of a prophecy. The Magdalene’s prophecy emerges from Mary Magdalene’s “wisdom stream and it is a message about remembering “union” within ourselves, a message of integration and wholeness. It is a prophecy of hope and remembrance, the awakening of the possibility of healing ourselves and the world and of the divine union of the masculine, the feminine, the sacred, wild, holy, powerful, fierce and compassionate aspects of ourselves. Journeying with the image and spirit of Mary Magdalene through the creation of this painting has been a great gift to me and my hope is that in viewing it you will receive your own experience of the wisdom, the mystery, the grace, the love and the beauty of Mary Magdalene.